But it don't help me. Maybe you could make a FB with a loop. 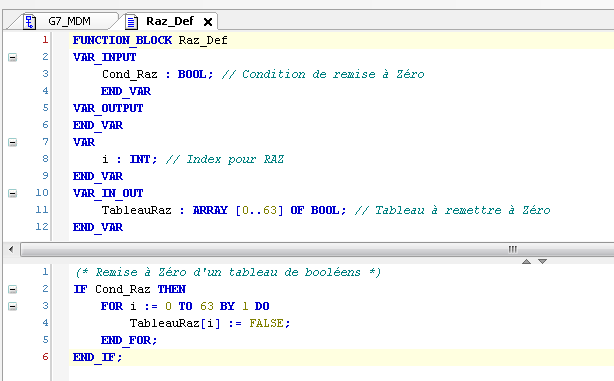 Here is an example to reset an array of bool. 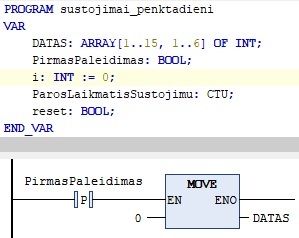 You just need and index and a bool as the conditon of the reset. Could somebody say to me how solve this problem? 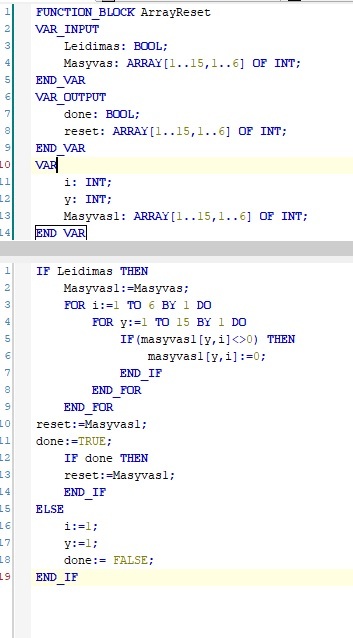 loop ranges do match array dimensions. is this perhaps case sensitive? 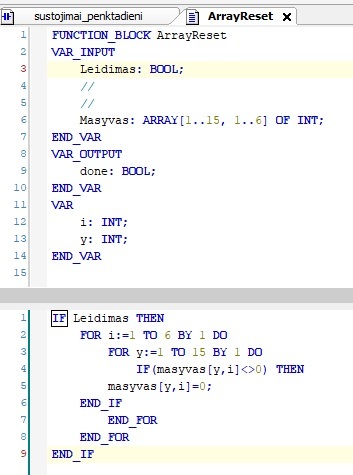 I see that array declaration starts with upper case... and why is the purpose of IF statement? 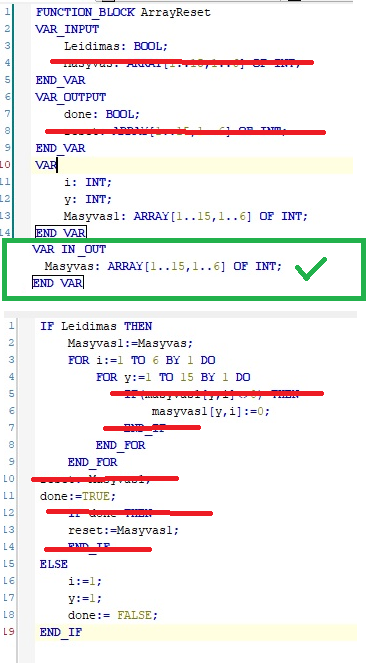 But more importantly, passing parameters seem to be wrong - you are declaring is as VAR_INPUT (ByValue) but for this to be useful, it must be declared as VAR_IN_OUT (ByReference). 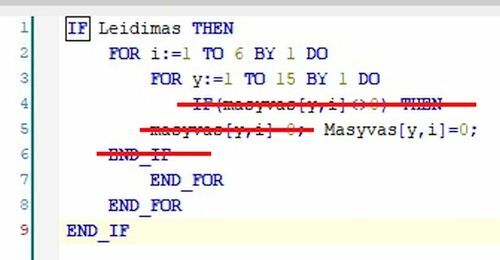 Now problem with top picture, that I have input kuku false, but I wrote something to array DATAS, so immediately reset DATAS. Somebody have advice how solve this problem and update my FB code?